Hirashin Ryokan is a moderately priced ryokan right in the heart of Kyoto’s bustling downtown shopping, dining and entertainment district. Typical of many downtown ryokan, Hirashin is located in a relatively modern building, rather than the classic old wooden buildings that so many associate with ryokans. But, the rooms follow the traditional ryokan style, and you’ll sleep on futons laid out on tatami mats. The place is well kept and well run and the location can’t be beat: you’ll be within steps of Nishiki Market and Daimaru Department Store, along with countless other shops and restaurants. Those with children will appreciate the nearby park. Finally, it’s only steps away from Shijo Station, which is on both the Karasuma subway line and the Hankyu Line (for trips into Osaka and Kobe). 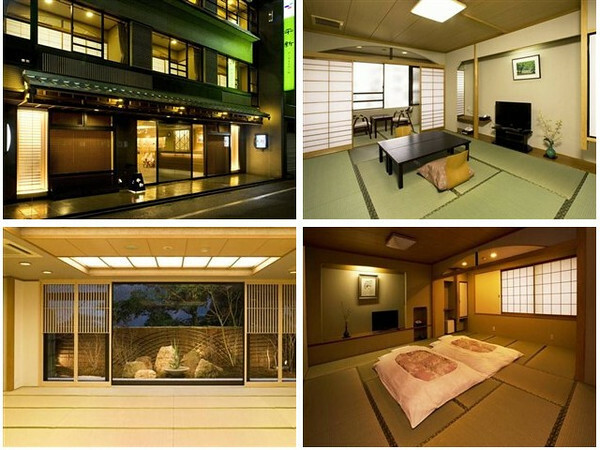 :: Check availability and pricing for Hirashin Ryokan on Booking.com or Agoda.com.